I am super excited about this BONUS episode!! 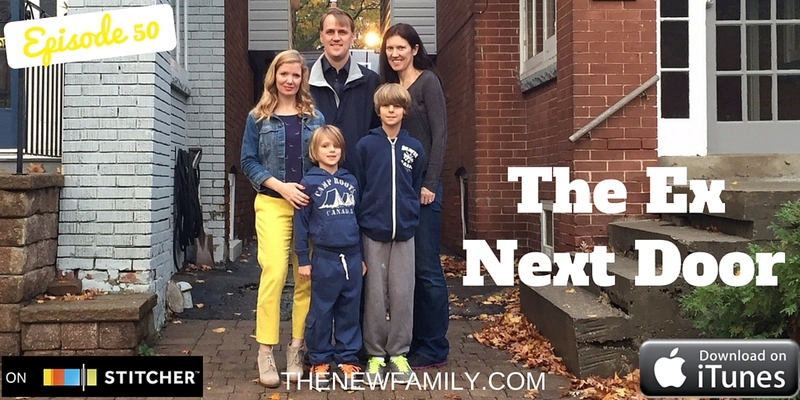 I have the privilege of being in conversation with Brandie Weikle from thenewfamily.com and host of The New Family Podcast. Part of my mission for creating this podcast is to expose listeners to parenting resources that I find inspirational and valuable, and Brandie is in total alignment with that mission. We spend time today talking about The New Family, the 1,000 Family Project, and Brandie's experience with podcasting. About MAZLO --- click here to check out the offers mentioned on the show. If you are interested in checking out the Calm and Connected Parenting Program FOR FREE send an emaill to casey@joyfulcourage.com. Put "Mazlo Coupon" in the subject line!! This conversation landed close to my heart... While my kids are now sleeping in their OWN beds, in their OWN rooms, ALL NIGHT LONG, that was not always the case. This solo show is my own download around how resistance has been showing up in my life and what I am learning from it. We all have those voices, right? The one that says to us, "who cares, do what you want..." and the other that speaks from our soul and reminds us of who we really are.... Yeah, I dig into that. I mention the book, Seven Thousand Ways to Listen by Mark Nepo (its super fabulous). It's the world according to me, and I invite you to come on in and stay awhile. Let me know what you think, and if you are enjoying these solo rambles or not (I hope you are, because they are really fun to record). Such a great conversation with Marcille Smith Boyle!! Solving problems with our kids is no joke and such an important way to teach life skills. Marcille breaks down the task in a way that gets parents excited to practice!! She is full of information and real life stories that I know will be inspiring and helpful to you – Enjoy! Click here for Marcille's handout on the steps of P.E.S.O.S. Nothing is off limits here - from where babies come from to blow jobs to birth control --- listen in and get informed and then TALK TO YOUR KIDS! Like Amy says, being INFORMED is being EMPOWERED to make smart choices! LET ME KNOW WHAT YOU THINK!!! Leave a comment on iTunes! You can find more about the Family Meeting Ecourse I mention at the end of the course by clicking here. Click here to find out more about coaching with me. Click here to find out which live and online offers are coming up.